A. retusus LRM178, habitat near Miquihuana. A. retusus LRM178, a large plant with broad flat tubercles. 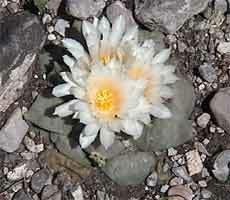 A. retusus LRM178, a typical flowering specimen. 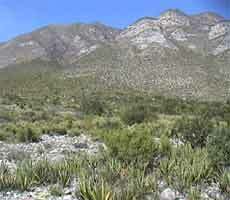 This is one of the three locations where we have seen this species in the state of Tamaulipas. The plants here have very broad triangular tubercles with a small areole at the tip and white flowers. 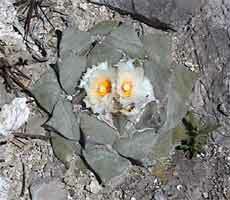 The plants were found on the low southerly slopes of moderately high limestone hills.